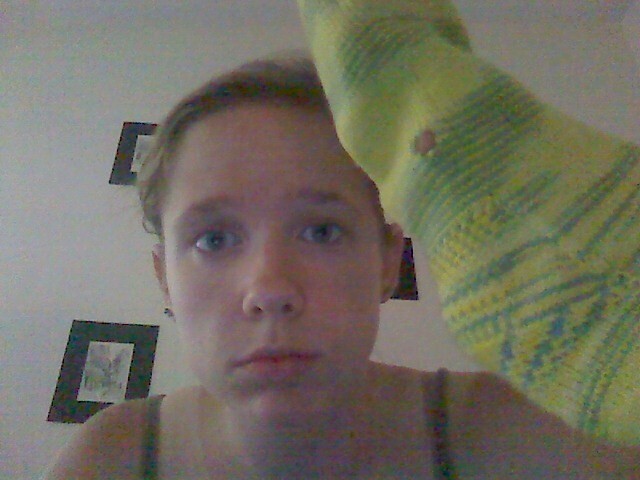 That’s a hole in my handknit sock. I wore them ONCE. WAH. Umm, they’re in time-out until I can figure out exactly how to deal with this catastrophe. I honestly couldn’t tell you when I started these socks. I know I worked on them in the Public Gardens in Boston during LeakyCon (late May), and then I stepped on the needle and broke it in the beginning of June, then had to wait until the beginning of July to get the replacement needles I ordered because they were shipped to my school instead of my apartment. 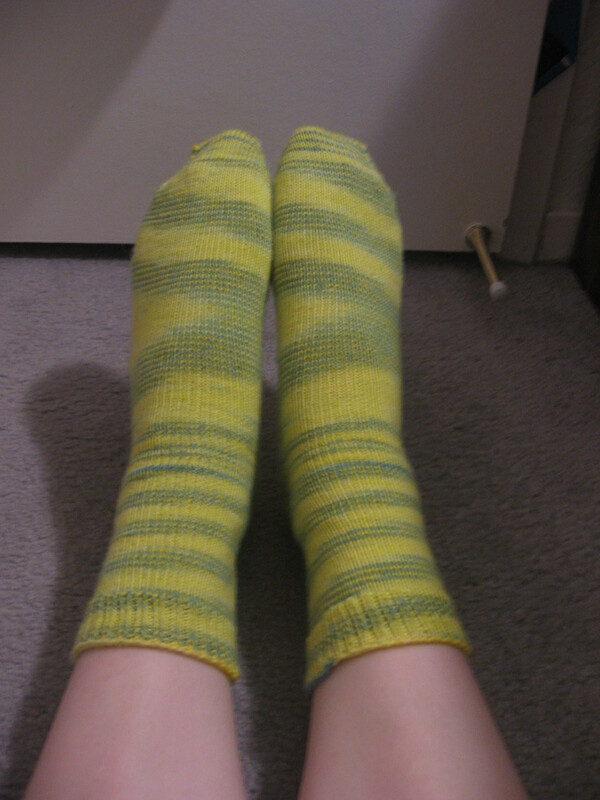 I turned both heels over a weekend that I was dogsitting/housesitting for my roommate’s parents, and finished the socks completely on July 20. As you can sort of see, they are stretched over the biggest part of my foot, but that was to be expected. 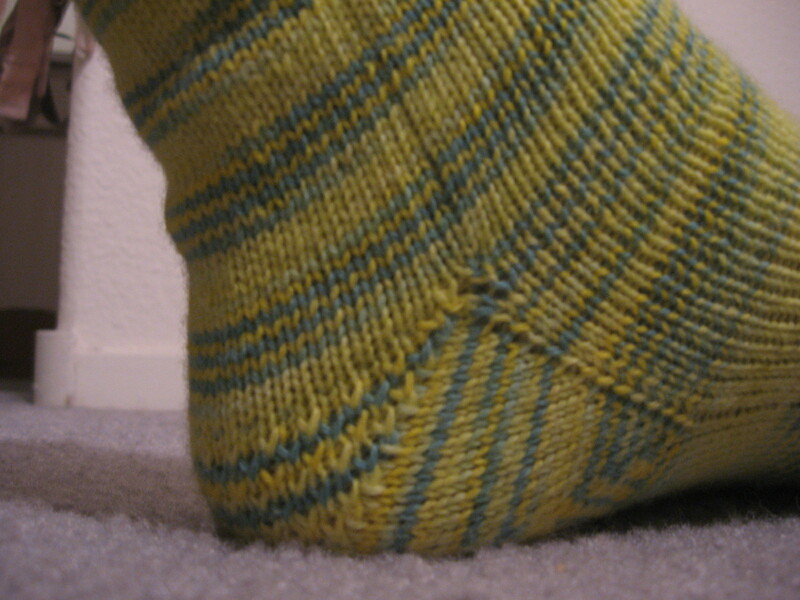 The rest of the sock fits like a dream, though. And they’ll stretch as I wear them, so I’m not too broken up about it. 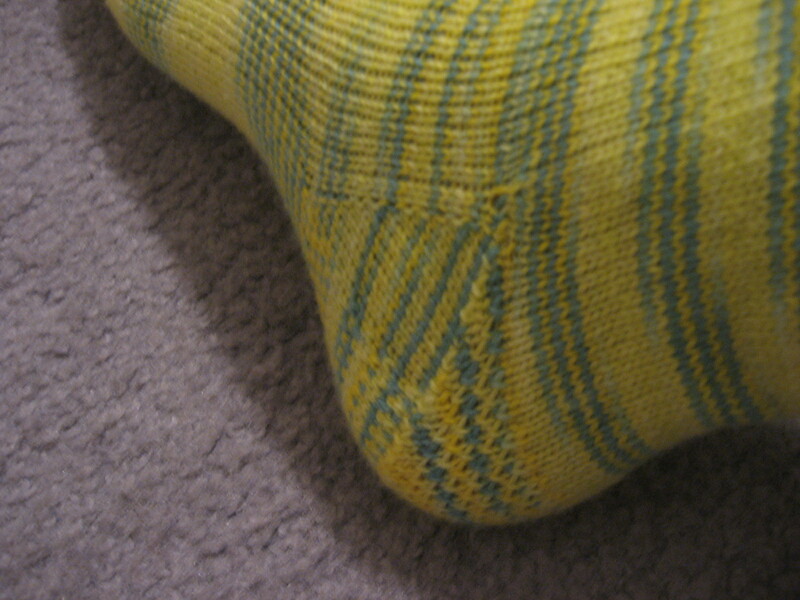 The stripes are smaller on the cuff than on the foot because I increased after the heel to make room for my giant instep. I like that it’s different, and honestly, when I wear them inside shoes, all anyone’s going to see is the cuff anyway. 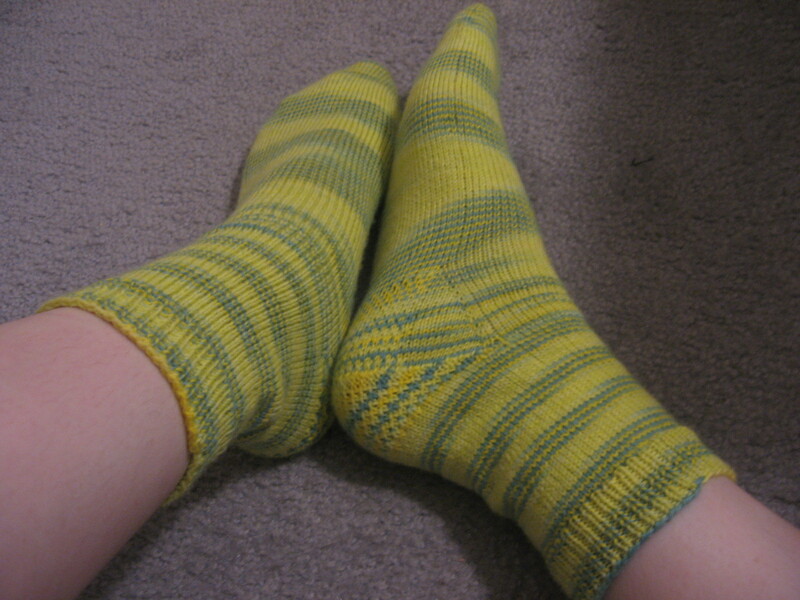 These socks fit the best of any that I’ve knit. Ohh, I love them.